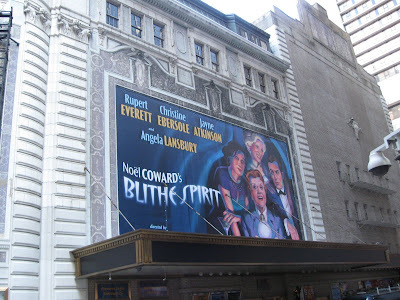 I now have my Blithe Spirit tickets for the first preview on February 26th! Mock if you must, but I used the discount code and by going in person to the Box Office, I saved nearly enough on fees for these two tickets to buy a Varis Rush Ticket in the orchestra section at the Metropolitan Opera. So there. 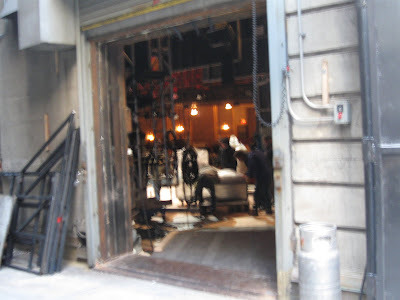 There was a bit of a que when I first arrived at 10:06 and the box office wasn't quite open yet. At 10:08 it opened just as a man came in and began to riot because it was 8 minutes late opening. A lovely lady told him where to stick it and then she and I struck up a conversation. She's quite excited to see Angela Lansbury, who she was surprised to find out is 83. She's 86 and she'll be buggered if she's going to go out and work at any job at her age. 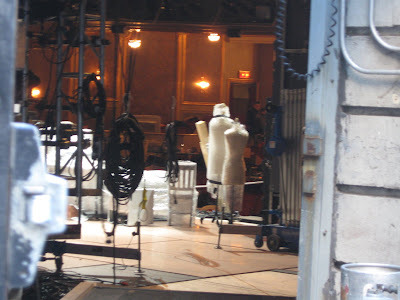 Besides, she's way to busy seeing shows. She just saw Auntie Mame on tv the other day and told me all of her favorite lines. A woman after my own heart. By 10:15 I had my tickets in hand just as the lobby was filling up with excited ticket buyers. On the way to and from (baby, it's cold outside!!!) 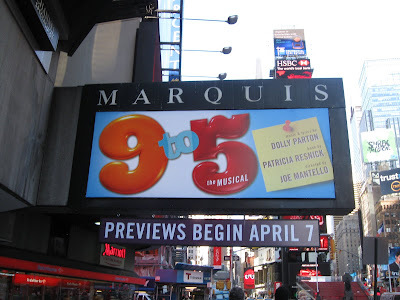 my office, I saw the 9 to 5 Marquis has been put up. 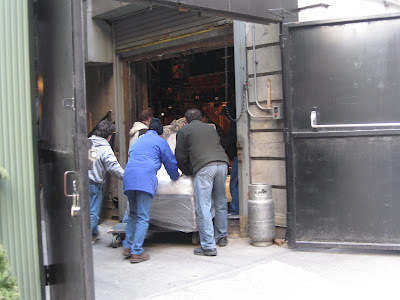 Plus, I lingered as long as I could stand it to watch some of the load-in at the Palace for West Side Story! Oh wow, what an exciting morning! Excellent. I am going that day as well. Just got back from getting my ticket. I would have gone there first thing this morning, but I had forgotten to bring my discount print-out, so I had to go to work and print a new one. I decided on row E mezz instead of row R orchestra. Very excited though. 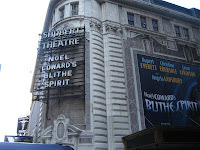 lol when I was there, the man in front of me was trying to purchase Phantom of the Opera tickets. I giggled as the Box office man told the confused patron where to go for those. 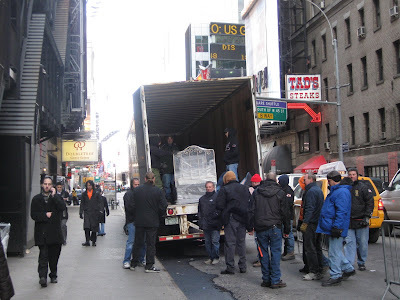 Those load in picture make me wish to live in NYC so hard. ONLY IN NYC!